Share details about your PV system output with your friends on Facebook and your followers on Twitter. Users can monitor multiple sites from their mobile device, anytime, anywhere. If you haven’t yet installed a SolarEdge system, a demo user will enable you to explore our online monitoring by accessing one of the public SolarEdge PV sites around the world. The monitoring app provides an at-a-glance view of the PV site’s energy production levels. Present and past measurements are all available at the tap of a finger. Real-time and forecasted weather data is also displayed to help you evaluate the system’s performance. Module-level monitoring using a physical layout view, enables checking of individual module performance on a daily, weekly, monthly or annual basis. Visually identify facets, shaded areas, module mismatch, and much more. *This feature is available for installers and owners with Layout access only. The app displays the site’s image, providing further visualization of the system. Configure system units or switch the app interface to one of several supported languages. 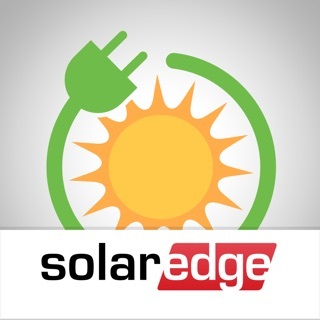 Start monitoring your SolarEdge site now! SolarEedge monitoring app works well! I’ve been using the SolarEdge monitoring app on my iPhone the past year and a half. Ease of use is pretty stand up easy. It’s similar to the desktop web client and provides you all the information you need. I especially like the day/week/month and year views which allowed me to see at a glance and compare my production, consumption (if you have that) and I believe they offer actual consumption also. This tool helps especially when a feature like monitoring over the internet is not working. It alerts you that your not connected and also able to see when alerts to problems are recognized by your system and notified to your installer. There only quirk for me was that we had the ZigBee wireless setup which had to be relocated so the signal was better. We could always have a wired LAN cable installed, but things have worked out. I’m not aware of the other competitor’s monitoring apps but of the few that I saw they should be comparable, but I think the SolarEdge one is a bit better personally. SolarEdge inverter system installed By Semper Solaris team! It’s been over a week now that I have 20 HIT Panasonic 6.6kWh Solar Panels running with SolarEdge inverter. The SolarEdge inverter is doing a phenomenal job in converting DC to AC current. I am really enjoying its performance. This is the core unit (the heart of the solar system) that gives detailed electrical readings about every Solar panel electricity producing on a daily basis. The SolarEdge software gives daily, weekly, monthly and yearly reading information logged into the system. My system was installed by Semper Solaris company. The Semper Solaris Supervisor Eriz and his team done literally a mind blowing job in installation. The SolarEdge App on the smartphone give you daily production information any where you go as long as the cell phone data or internet is available which makes it very easy to check the SolarEdge system on the fly to get electricity production information. I would highly recommend SolarEdge inverter system to anyone Photovoltaic needs. I've been using this app for three years and it serves its purpose though the user interface is not the best. With the latest update a flaw has been introduced: The graph shown for the previous day's data is wrong. The current day's graph is shown instead. The correct value is show in the Week display and the total week value is correct. I've shared this problem with the developer and they did the usual "delete and reinstall the app" drill. I let them know this had no effect. Since then it's been silence. This app is not a toy for me. I use the data for analysis of work on PV production. I hope THEY take their app as seriously as I do. Update: Still nothing from the developer. A bit more on the issue. On the Day screen all data is pushed back one day. So today's data is shown for yesterday. Yesterday's plot is shown as the day before that, etc. I went back five days and the problem was still there. I reduced rating to 3 stars to reflect the lack of support. Update 2: An update that was just posted appears to have resolved the issue. Thank you! I've put back the 4th star. I wish to reiterate that after 3 years of daily use this has been the only problem I've ever encountered. I don't think there is any other app about which I can say this.